The One-Cylinder Glow Driver operates 1 glow plug using a single cell LiPo or 3 cell NimH battery. The switch-on point is programmable and the unit will automatically turn the plug off below tick over. The unit comes with a glow plug connector etc and it has a remote status L.E.D to show when the plug is powered. A “Y” harness is not needed as a feed through throttle servo lead is integrated into the unit. 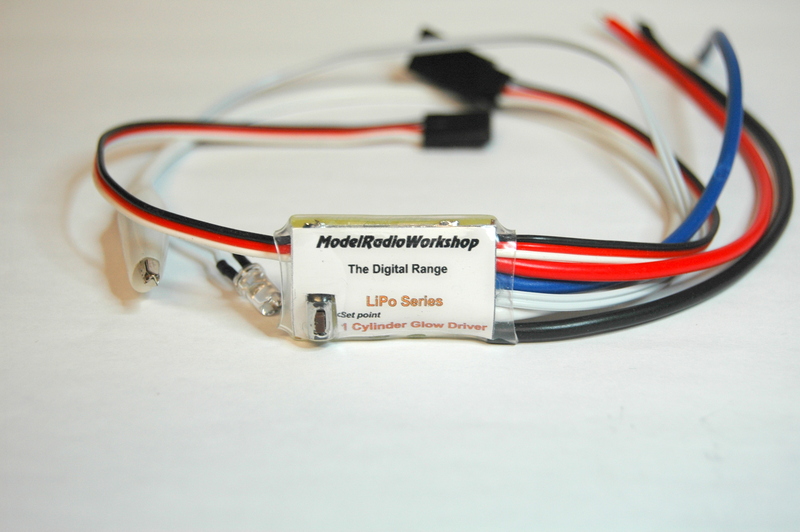 The LED flashes and glow plugs are inhibited when the LiPo battery voltage is below 3 volts.